DVD to Seagate: How to Rip and Backup DVD Collections to 500GB Seagate Wireless Portable Hard Drive and Stream DVD Videos from Seagate to iPhone/iPad/Apple TV for Playback? 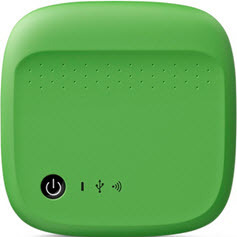 - I just purchased a 500GB Seagate Wireless Mobile Portable Hard Drive to store movies and photos on for my iPad (I travel frequently). Is there a best way to copy DVD to Seagate portable hard drive? I'm looking for a fairly straight forward process to rip and backup DVD to Seagate Wireless hard drive and watch in iPad or Apple TV format. How to do the DVD to Seagate ripping? The famous data storage provider Seagate unveiled three new products at CES 2015, one of which is 500GB Seagate Wireless portable hard drive. This newly improved storage tool enables users to store tons of videos and photos, which later can be directly streamed to iPhone/iPad/Apple TV via Seagate Media app for playback. If you have run out of space to store all your DVDs and you're planning to rip DVD to a hard drive, Seagate should be your preferred option for its 500GB space and built-in Wi-Fi. How to copy DVD movie to Seagate Wireless Portable Hard Drive? 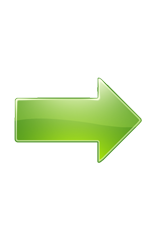 A best DVD to Seagate hard drive ripper is probably the easiest way to do the DVD to Seagate ripping and transferring. How to Rip DVD Movies to Seagate Hard Drive? Rip DVD movies to Seagate wireless portable hard drive at ease. Using portable hard drive, such as Seagate, is the prevailing approach to store media files and save storages of devices nowadays. And freely streaming DVD videos from portable HD to iOS gadgets without existing network connection is particularly awesome, which leads to the need of a best DVD to Seagate ripper. 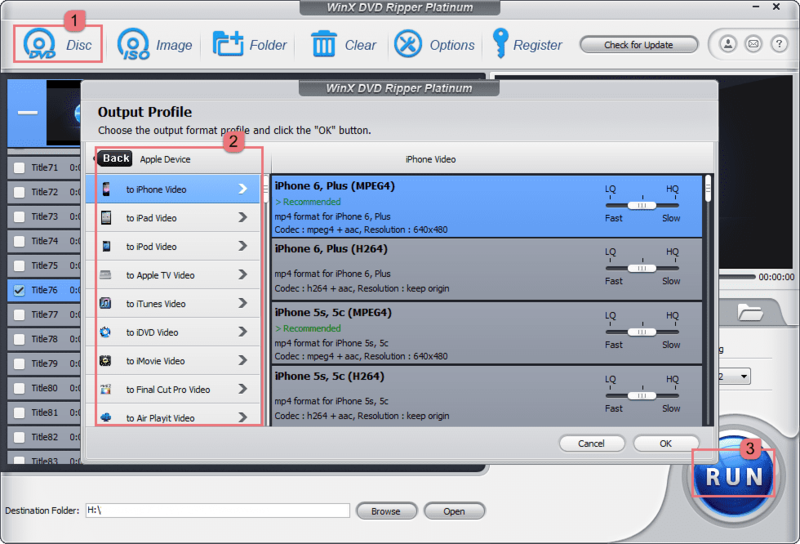 WinX DVD Ripper Platinum, an ultra fast DVD ripping solution, is capable of ripping DVD/ISO image to almost all video formats, such as AVI, MP4, MPEG, WMV, MOV, FLV and M2TS, for playback on iPhone, iPad, iPod, Apple TV, iTunes, Samsung, Chromecast, etc. and allows you to copy and transfer DVD movies to 500 GB Seagate Wireless Portable Hard Drive for safe storage and streaming. Copy protections won't be in the way of your DVD to Seagate backup and users are always amazed by its high quality output. Note: The software developer only advocates ripping DVD to Seagate for personal use and suggests referring to the DVD copyright laws in your countries before doing so. How to Rip DVD to Seagate Wireless Portable Hard Drive ? Download WinX DVD Ripper Platinum to have a try at DVD to Seagate ripping. Step 1: Load DVD content. Click "DVD Disc" on the main interface -> Select the source DVD disc and tap "OK" button -> Wait for the loading. You can also convert DVD ISO image or VIDEO-TS folder to Seagate in iPhone/iPad compatible file formats. Step 2: Set the Output Profile. To rip DVD to Seagate for streaming to iPhone 6, go to Apple Device -> to iPhone Video -> iPhone 6, Plus (MPEG4 or H264). Step 3: Adjust video audio parameters. Click the gear icon and the Video/Audio Options box will pop out. You are free to set video codec, frame rate, aspect ratio, etc. Step 4: Copy DVD to Seagate. Tap button RUN and the DVD to Seagate hard drive converting starts. Don't forget to specify the destination folder. * Amazon Kindle tablets, Sony PlayStation, Microsoft Xbox, etc. If you need to fast rip DVD to Seagate hard drive, USB, Chromecast, MP4, AVI, WMV, MPEG, iPhone, iPad, Android devices, please try WinX DVD Ripper Platinum.